OH. MY. GOD. This book destroyed me! It was the perfect ending to one of my favorite series EVER. 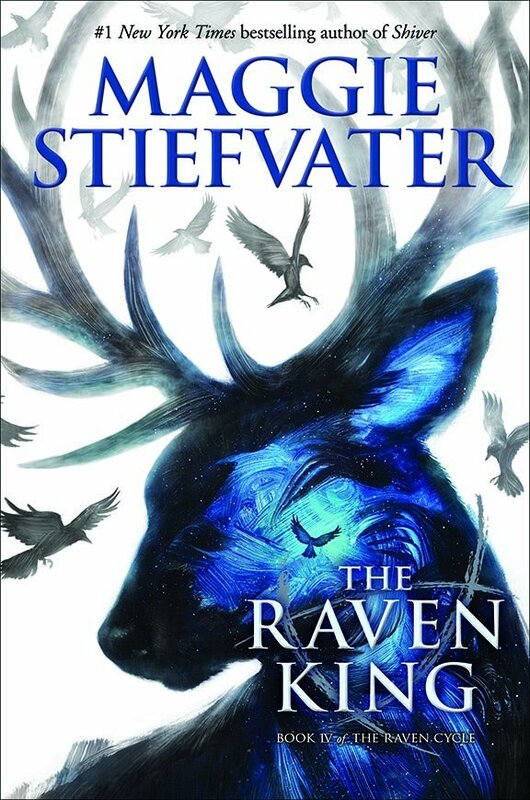 Reading The Raven King (TRK for brevity) is like voluntarily handing your heart over to a butcher while simultaneously having all of your wishes granted at once. Lots of pain and suffering and tears. Lots of happiness and YES YES YES moments. By the end of TRK, all of the characters are leaps and bounds away from who they were at the beginning of the series (at the beginning of the book, for that matter). Each character’s growth and transformation is palpable and powerful. They grow into deeper, stronger, realer versions of themselves—and do it at a realistic pace. The relationships between the Raven Boys (and Blue) grow in the same way, knitting them together, becoming the epitome of friendship. Every character transforms on their own, yes, but their transformations also tie them closer and closer to the group as a whole. Even the new characters got folded into the plot without a hitch. Introducing new characters in the last book of a series seems crazy, but it just worked in TKR. I’m particularly in love with Henry Cheng, who brought so many layers to the plot while also providing some of the happiest (and funniest) scenes in the book. By the end of TRK, I loved every character so much that I couldn’t stand it. They were all so real and alive—how could you not fall in love with them? I could not stop reading TRK. The book throws you from happy scenes to terrifying scenes to horrifically sad scenes to hilarious scenes, with no stopping points, ever. I loved how a series of chapters would fit together (like the 6:21 chapters), as well as the “depending on where you began the story” motif. The whole book had this feeling of putting the final pieces of a puzzle together—everything worked together perfectly, and you could suddenly start to see the entire picture at once. And of course, the writing was drop-dead, how-can-anyone-write-this-magically gorgeous. If there was a sense of impending doom in BLLB, there was even more of one in TRK. Every time Gansey wore his Aglionby sweater, I freaked out. I just knew that the plot was going somewhere it could never come back from, and I both really wanted and never wanted it to get there. The entire book was surprising and tear-jerking and just really freaking emotional. I’ll just say it: I SOBBED at the ending. And then I finished the book and just sat there in emotional shock for a little while longer, tears dripping down my face. But it was the perfect ending for the series. It wrapped up the story, left no loose ends to wonder about, and got in a few last surprises on the way out. It was beautiful and painful. It was everything I needed it to be. Thanks and YOU SHOULD IT’S SO GOOD!!!! OH MY GOODNESS IM IN THE MIDDLE OF THIS ONE AND I DONT WANT IT TO END!! !